Tree Trimming in Denver Colorado tree trimmers come in many shapes and sizes with all sorts of different backgrounds. Some work with just themselves and their tools. Others have formed large companies and work in networks of thousands plus. Trees are something that require more attention than most people think and should be pruned no less than once every three years. To the untrained eye it can be difficult to spot a tree that needs work but to overlook such a project can be quite costly down the road. An unkept tree is more susceptible to disease and more likely take damage during a storm. As with most things, its best to remain proactive in order to save time money and maybe even a life. An abundance of small branches that make the tree look cluttered and overgrown. -Anything dead or hanging off the tree. -Small holes in the bark caused by burrowing insects. -Growth that puts surrounding areas at risk like power lines or potential roofing damage. Determining the price for your average trim depends of a few different factors. First there is the difficulty and danger involved in making a cut. Trees that are near power lines, extremely high above the ground, or in a structural unsound tree all increase the risk to the arborist and come at a higher price. The amount of ground work and labor that goes into the job will factor into the price. If there is a lot of material that needs to be hauled away will cost money in gas and disposal. Many people find the economic decision to take care of the tree waste themselves be either hauling it away themselves or keeping it in their yard to dry and eventually burn. In the end, the price is determined by the professional who can factor in these different elements to the job. Quotes are free and scheduling an appointment to determine the health of your tree is as simple as giving us a call to let us know where and when we can come look at your tree. 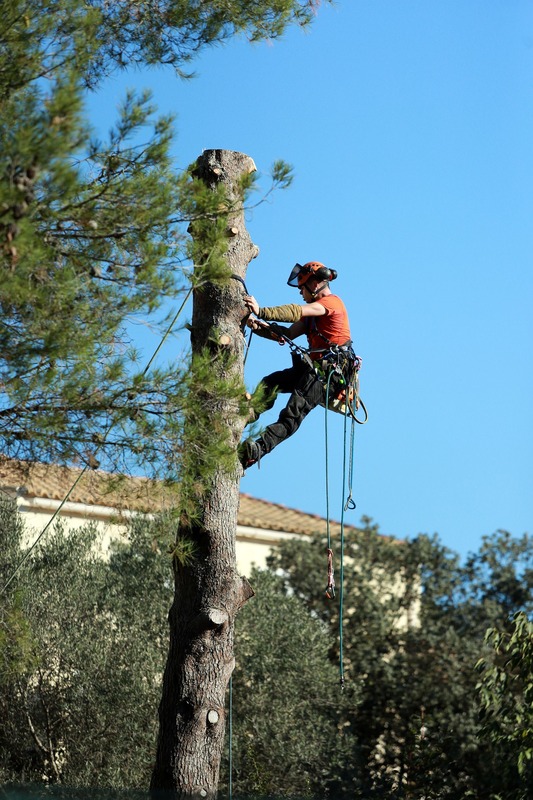 Many tree trimmers working in Colorado work independently with nothing more than a skilled arborist and grounds crew. These small crews generally start working independently, generating work through friends and referral and is often enough to build a business model from. Most of the work to be done comes in the form of pruning which involves the removal of dead branches to preserve the health of the tree and protect people and things on the ground. Branches die mostly due to disease or injury. Untreated diseased branches can end up infecting the entire tree. Injured branches use of some of the trees energy and will affect the health and longevity of the tree. There are a few essential skills that any tree trimming arborist will need to know. First, they are going to need to know the what types of trees grow in the area and the different disease potentials for each tree. See our common CO disease and infestations page for more. They are going to need to know cuts and be able to handle a saw. They are going to need to know the many different ways to cut a tree and the many different ways that a tree can sway and shift after it has lost a limb. Attempting to make large cuts can be very dangerous and should not be attempted by anyone that does not have a significant amount of training in the profession. They are also going to need to know tree climbing knots. The anchor hitch, alpine butterfly loop, basket hitch, and bowline are all knots that any good arborist will have memorized and be able to pull out at the first sign of spring. Ropes are the way to go. Never let anyone trim your tree with a ladder. Trees move, ladders do not. Getting a professional to come look at your tree can tell you a lot about the health and future of your tree. Quotes are free and the worst thing that can happen is you learn a bit more about what’s going on with the plants in your yard, so give us a call and schedule an appointment. You don’t even need to be home for us to give you an inspection. Just give us a call and we can swing on through.